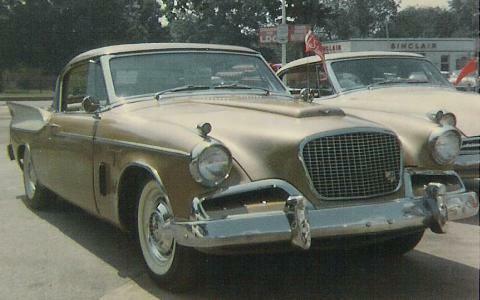 To many the 1957 Golden Hawk is the top Studebaker of the 1950's. 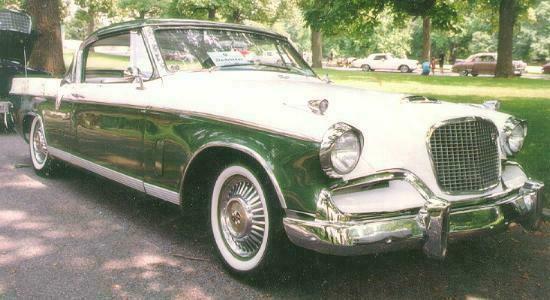 Powered by Studebaker 289 cubic inch V8 equipped with a Paxton supercharger, it was lighter than the Packard powered 1956 Golden Hawk. While the 1956 Golden Hawk had stubby fiberglass fins, the 1957 version had large metal fins that were usually painted a contrasting body color. Other styling changes included removal of the side crease that had carried over from the original 1953 Loewy design, and the addition of a large hood bulge over the supercharger. Golden Hawks were expensive cars, and only 4,356 were produced in 1957. Compare this car with the 1956 Golden Hawk that was featured last month. 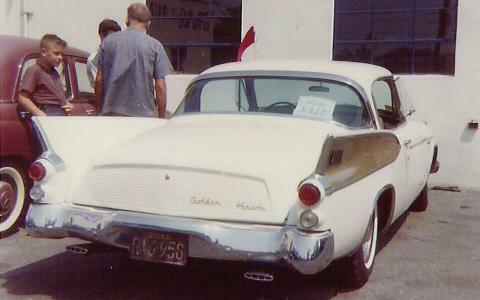 This 1957 Golden Hawk in white with gold fins has the exact reverse paint scheme from the first Golden Hawk above. The large tail fins were attached over the original 1953 rear fenders. Stainless steel trim was used to hide the resulting seam and provided a natural break for the contrasting paint color. Golden Hawks were hardtops with no center post while the less expensive Silver Hawk was a five window coupe. The Lark received a mild facelift for 1963 including a revised grille and new roofline. Interiors were significantly upgraded with a dash that featured full instrumentation and a large passenger side vanity compartment. The Cruiser was the top of the Lark line and was only availble with the V8 engine. The 1963 Studebaker brochure describes the Cruiser as "America's first and only limousette." Cruisers as well as other Larks could be ordered with Avanti engines, but not many were built that way. As with the other pictures above, this shot of a 1963 Avanti was taken at a Studebaker gathering on Long Island in 1965. The round headlights identify this as a 1963 model. 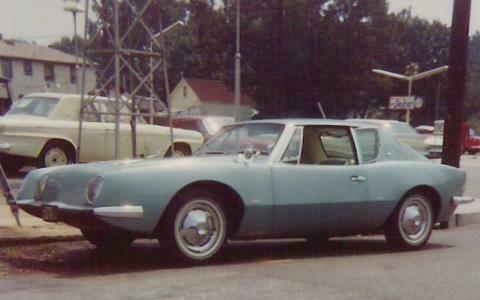 While the Avanti could be ordered a manual transmission, most were equipped with the "Powershift" automatic that was designed to be shifted manually if the driver desired. 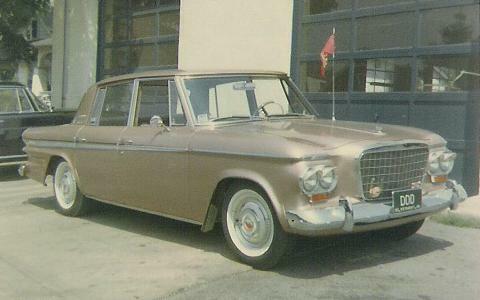 Avanti production ended in December 1963 when Studebaker shifted automobile production to Canada.